"...they are the stratus clouds, the low lying pieces of clouds and hurray!!!!!!! - I am above them!" Visiting the province of Albay for the first time, what I only knew is to be mesmerized by the view of the stunning and lovely Mayon Volcano as being seen from below, or from the plains. But oh yeah, I did a different thing like some other travelers have done - I captured the beauty of Albay and guess where I am? 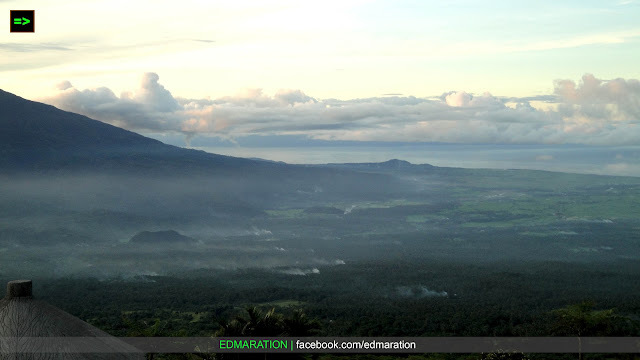 I was on a high altitude at the slope of Mayon Volcano while viewing the beautiful scene of Albay from the sky! At the location where I was standing, I was lucky enough to see the highlands of Albay (and that is the Mt. Malinao), the Lagonoy Gulf and of course the plains below. At the photo above, you can see the plains (or can I call it valley since it is in between two mountains?) of Tabaco City, the municipality of Malilipot and Malinao - still in Albay and how I wish I can also see the island of Catanduanes here but just never mind. The view is an instant refreshment to my soul as I see the view with the clouds on an elevation leveled to where I was standing. I was in fact at the Mayon Resthouse Park in Tabaco City, Albay where I reached halfway the peak of Mayon Volcano (almost). From this park, you can afford to see the view of this 3 dimensions I am referring, the highlands (Mt. Malinao), the sea (Lagonoy Gulf) and the plains below. 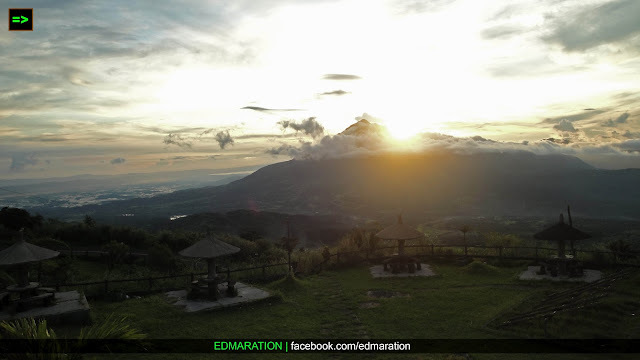 Who would expect that from this part of the slope of Mayon, there exists a park considering that Mayon is very active. 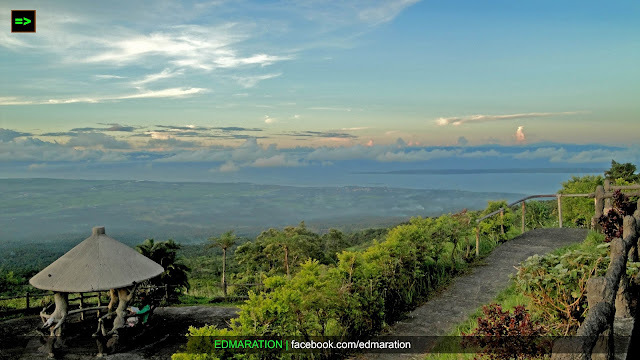 If Mayon has washed out the Cagsawa church, what about this park which is even closer to the crater? Well, well, well, don't underestimate. People who are already familiar with the activity of Mayon tell that this spot at the slope of this volcano is a safe zone. The lava that flows from the crater of this potentially angry volcano does not pass through here that's why the park still exists and it is where I am standing now. The two photos above show the view of the Lagonoy Gulf (to the Pacific Ocean) and the "whitish" aggregates at the center of the photo is the central business district of the city of Tabaco. So that is the Lagonoy gulf as seen from the point where I am standing now, and yes, I am still on a high elevation at the slope of Mt. Mayon. And from here, I was actually above the clouds! Notice my photos especially the first one. You will be able to see the smoke-like thing floating in the air. Those aren't smoke, it is hardly possible to have a thick smoke build up with that elevation. Now you know, they are the stratus clouds (correct me if I'm wrong), the low lying pieces of clouds and hurray!!!!!!! - I am above them! been there several times since our place is just an hour or so drive...really a great place! 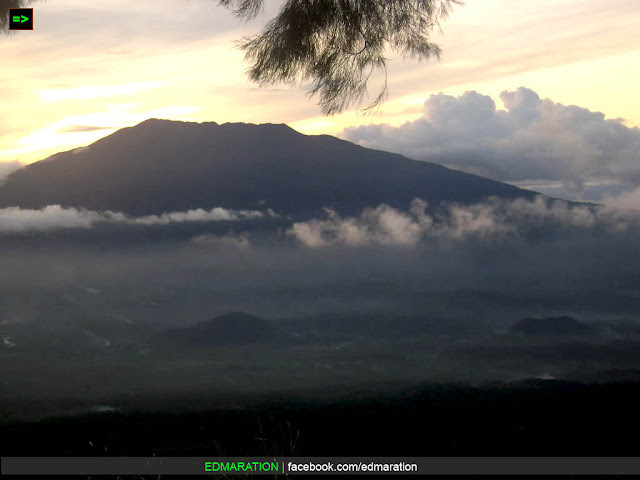 I am from Albay and grew up seeing Mayon Volcano everyday of my life. I am proud of the majestic Mayon. Mayon Volcano is the only perfect cone shape volcano. 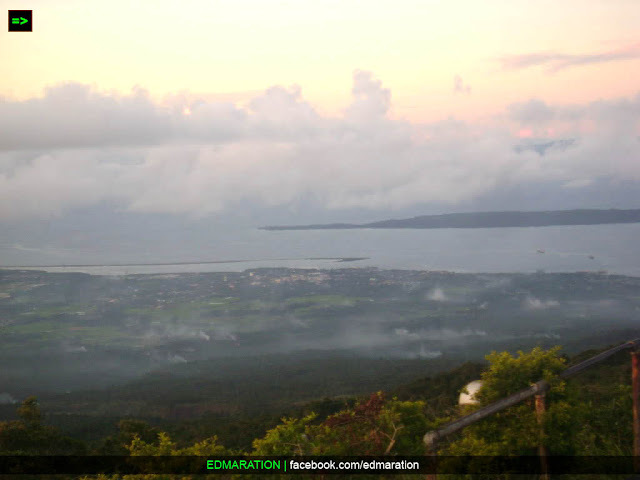 Good location - a birds eye view of the entirety of Albay. Nice shots too..
Not everybody gets to see such a majestic scenery as these. You are lucky to have seen such wonder. I hope I'll witness these too. You're photos are always awesome. I'm amazed at how you can always take the top view. OMg ang Ganda!!!! I'm speechless sana makarating ako dyan! The view is different when its from above pala. Interesting take on Albay. like feeling cloud9. Hahaha Sound like your having fun. Oo nga. Ang lamig dito at talagang high-altitude na. True, gusto ko nga rin bumalik uli eh. Hindi nakakawala ng amazement ang Mayon. clearly you enjoyed and very scenic talaga ang place. @Athena. Yup, enjoyed a lot. @Gemma: exactly, and it's way too chilly hear. Bring some extra jacket. Stratus clouds are known to be as rain clouds. When rain is coming or about to fall, stratus clouds are usually formed. These clouds are in approximately 2,000 m (6,000 ft) below the altitude. @Sir Gil. I'm glad I could be right :)) Mayon is more than 8,000 feet, so it is possible that these are stratus clouds considering they could be lower than 6,000 feet and I am near the crater. I guess you'll need more of wide lenses. @markpogi, exactly.. thnaks for the plus. Never been to Albay. But It's such an awesome place. Great picture. dude, you are lucky to have seen such a wonderful majestic Mayon.. but you haven't seen its truest beauty.. try to visit there in the month of September til December and you will see Mayon, especially at night, flowing its red hot lava, like a teardrops at night..
Blaire, yep! You have just mentioned the scene I always wanted to capture. PinayWanderer, tama. lalo na kapag mas malamig-lamig ang paligid. haha. @Kuya Christian, salamat po. MAganda po talaga 'yung place kaya ganyan, haha. I use point and shoot lang. A Romantic spot for dating, i bet you can view sunset on that spot. oh one more thing Great photoshoot.